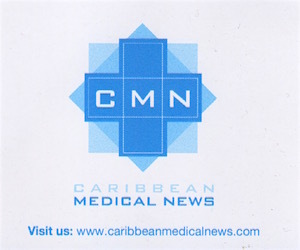 Another bout of corneal transplant surgeries commenced yesterday at the Georgetown Public Hospital Corporation [GPHC]. In fact, over the next few days, a total of 16 corneal transplant surgeries are slated to be completed. The surgeries are being facilitated by the United States-based Subraj Foundation Transplantation team led by renowned surgeon, Dr. Rahul Jindal. Also part of the visiting team is Dr. Joseph Pasternak, a Corneal Transplant Specialist, who has been very instrumental in procuring donations of human corneal tissues from eye banks in the United States to conduct the transplant surgeries. The visiting team is being well supported by local Ophthalmologists Dr. Celeste Hinds and Dr. Shailendra Sugrim, the Head of the GPHC Ophthalmology Department. Although Retired Corneal Specialist, Dr. Stephen Waller, has accompanied the team on a number of missions in the past, he is not a part of the team on this occasion. Since the team started its work on Tuesday, more than 60 individuals have been screened so that the condition of their eyes could be assessed. This trip marks the 25th Mission of the transplantation team to Guyana and represents a continuance of the work started by founder of the Subraj Foundation, George Subraj. George Subraj, a Guyana-born philanthropist who resided in the United States, passed away in November of last year. The annual corneal transplant mission was, and continues to be, entirely funded by the Subraj Foundation which is well supported by Zara Reality, a business that was also founded and made into a success by George Subraj and his brothers, Ken Subraj and Jay Subraj, at its helm. The business as well as the Foundation is being kept alive through the dedication of George Subraj’s wife, Gloria, his children and close friends and associates. 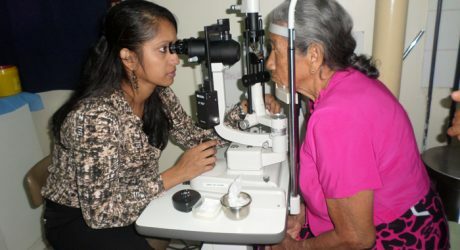 It is the view of the visiting team that Guyana, via the GPHC, will one day be in a position to not only independently conduct corneal transplants, but also be able to harvest its own corneas for this purpose. This, however, is dependent on the passage of guiding legislation. As such, Mahase, in commenting on the need for corneal transplant independence, said “it is really not in our hands, but we have been promoting it, because we think it is necessary for the country itself to recognize the importance of having corneas”. The visiting team, ahead of this mission, has a record of successfully completing 41 corneal transplants at GPHC since 2015. About 70 percent of the patients thus far have been doing fairly well with clear corneas, post-transplant, based on information out of GPHC. Added to this, the Foundation has also facilitated kidney transplant operations at the GPHC. A total of 26 such transplants have been conducted under the guidance of Dr. Jindal to date. In addition to conducting the corneal transplants on this mission, the Foundation has also donated a quantity of equipment to both the Ophthalmology and Nephrology Departments of the GPHC, valued at several million dollars.